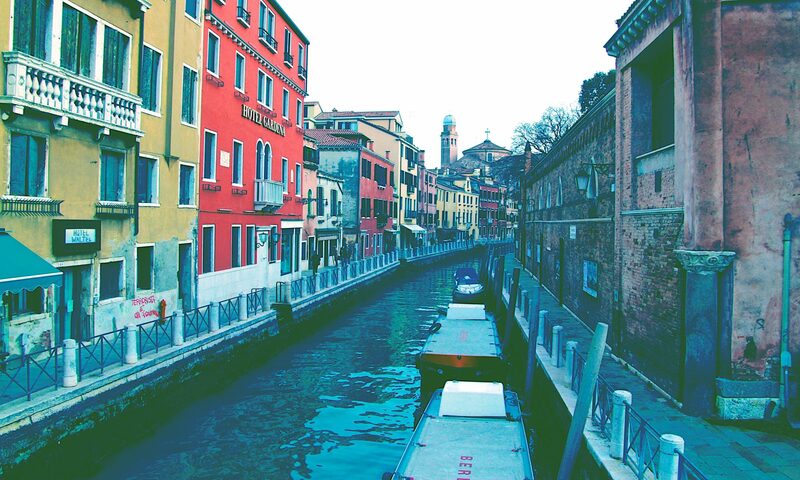 Nestled in Dorsoduro, Ca’ Dario is a XVth century palace surrounded in mystery. According to legend the house is cursed: whoever lives here is destined for bankruptcy or committed suicide. “An old courtesan bent under the weight of her jewelry” D’Annunzio. The first owners were the daughter of Giovanni Dario, Marietta Dario and her husband Vincenzo Barbaro. Marietta and Vincenzo didn’t have a happy life, since Marietta committed suicide after Vincenzo’s bankruptcy, starting a long history of sad stories. In the XIXth century, the palace was bought by Arbit Abdoll, a merchant who went bankrupt soon afterwards. More recently, in 1964 the Italian tenor Del Monaco wanted to buy it, but a bad accident made him change his mind. A few years later, a Count from Turin bought it, but he died stabbed by a sailor who was also stabbed to death. Also Christopher Lambert, manager of the group The Who, tried to live in the palace, but apparently he used to stay in a hotel nearby to escape the many ghosts infesting the house. According to legend, his addiction to drugs got worse while there. In 1978, Lambert sold the palace to Fabrizio Ferrari, who went bankrupt as well a few years later. In 1993, another owner committed suicide after going bankrupt: Raul Gardini. After Gardini’s death, no one wanted the palace any more. Now it is owned by an American company. There are many legends and mysteries about Ca’ Dario, some say it was built on a templar cemetery, others that it’s due to a strong amulet from a palace nearby. Even if we don’t know the true story, what it’s sure is that you can feel something strange happening. On our traditional route to Punta della Dogana, we start talking more slowly and feeling strange when we see the palace, admiring its cursed beauty. Follow us and keep in touch for more wonderful stories about Venice! !